Brahimi said he will meet with US and Russian representatives on December 20 to prepare for Geneva II talks, and hopes to have the full list of conference delegates before the end of the year. Read the full Communique here. The United States has expressed hope that Syrian peace talks announced Monday will bring new leadership to the war-torn country. White House spokesman Josh Earnest said removing Syrian President Bashar al-Assad is the goal of the negotiations scheduled for January 22 in Geneva. Earnest told reporters traveling with US President Barack Obama Monday that the talks are "the best opportunity" to form a new transitional government and end the suffering of the Syrian people. 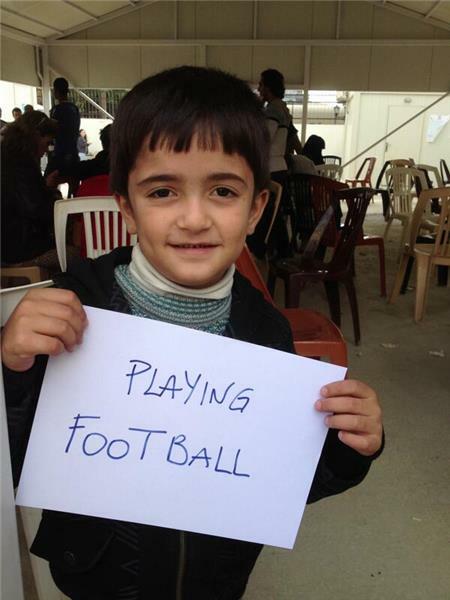 As war rages on in the country, Syrian children have been bearing a heavy cost. 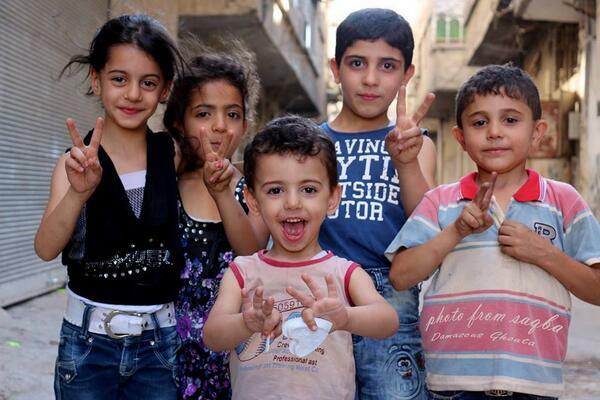 A new report has shown that more than 11,000 children have been killed in the conflict. A suicide bomber has blown up a vehicle at a bus stop west of Damascus, killing at least 15 people, state television has said. "The terrorist explosion in front of the bus stop in Somariyeh was caused by a suicide attacker," the broadcaster said in a news flash on Tuesday. "It killed at least 15 citizens and wounded more than 30." Somariyeh neighbourhood is home to "a complex housing families of soldiers fighting with the elite Fourth Division," Observatory for Human Rights director Rami Abdel Rahman told AFP. "Nine of those killed were civilians, while six were troops," said the Britain-based rights group, which relies on a network of activists, doctors and lawyers on the ground for its reporting. The commander of the main Syrian rebel group has said it will shun a planned peace conference in Switzerland in January and would pursue its fight to topple President Bashar al-Assad regardless. The stance of the Free Syrian Army (FSA)'s General Salim Idriss on Tuesday highlights how hard it will be for international mediators to get Syria's warring and divided parties to the negotiating table in Geneva. The Geneva II conference will convene on January 22, the United Nations said on Monday, with the stated goal of agreeing a transitional government to end a 2-and-a-half-year-old conflict that has killed more than 100,000 people and displaced millions more. "Conditions are not suitable for running the Geneva II talks at the given date and we, as a military and revolutionary force, will not participate in the conference," Idriss said. The UN has said its aid convoys cannot reach around 250,000 people in areas besieged by Syrian government forces or rebels, despite "growing needs and intensifying conflict". The detailed assessment was included in a confidential paper that Valerie Amos, UN emergency relief co-ordinator, presented to a private, unannounced United Nations meeting in Geneva on Tuesday. "The response is continuing but falling short, especially in besieged and hard-to-reach areas," said the report, obtained by Reuters news agency. 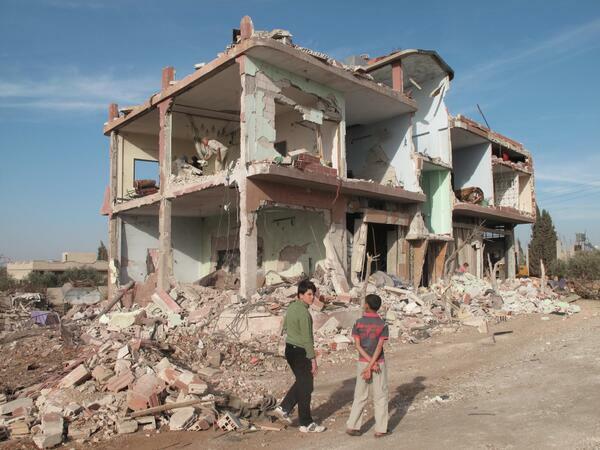 "Besieged communities continue to be cut off." opposition forces seeking to topple him. The UN document, entitled Humanitarian Situation and Response in Syria, painted a grim picture, saying there were 900 armed clashes in Syria in October compared with 500 in May. 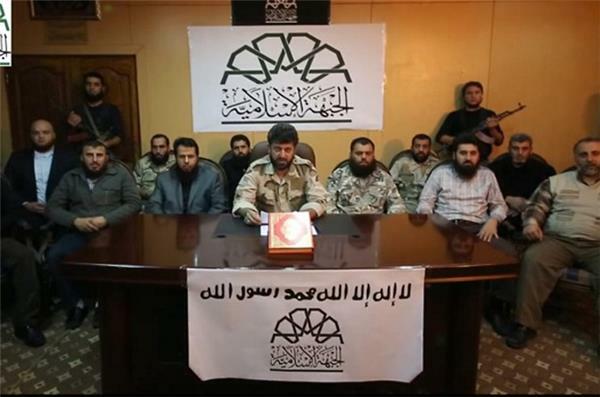 A newly formed rebel alliance, The Islamic Front, said it wants to replace Syria's regime with an "Islamic state" AFP has reported. The group said that the new state would protect minorities and not create an "oppressive, authoritarian system." The Islamic Front, Syria's largest armed opposition grouping, is battling to oust President Bashar al-Assad, and has spelled out its intention to play a role in politics. The group has written its intentions for the country in a new document, but has not provide a clear vision of a post-Assad Syria. Authors of the covenant are reluctant on delving into details that could possibly splinter the alliance of seven key Islamist groups which hopes to unify the fractured opposition. Iran's top diplomat said Wednesday that Tehran and Ankara would press for a ceasefire in Syria ahead of peace talks planned for January, the Mehr news agency reported. 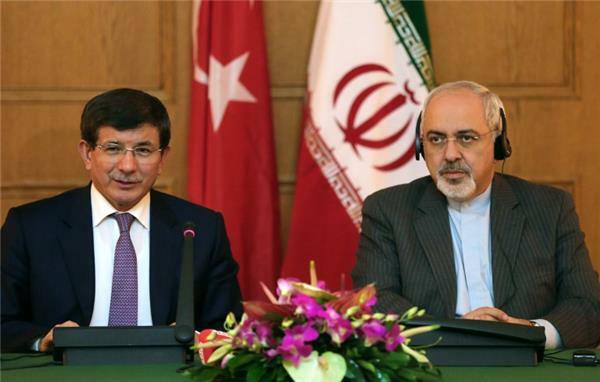 "All our efforts should be carried out to finish the conflict and reach a ceasefire even before Geneva 2," Foreign Minister Mohammad Javad Zarif said during a press conference with his Turkish counterpart Ahmet Davutoglu. "Iran and Turkey have similar standpoints on several issues, including that there is no military solution to the Syrian crisis," said Zarif.Davutoglu also voiced support for efforts aimed at reaching a ceasefire in Syria. 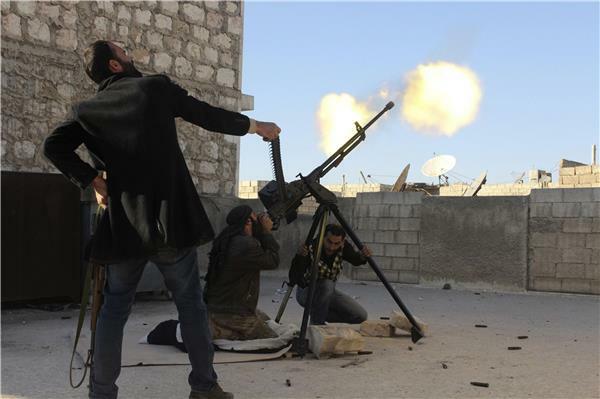 The Syrian opposition accuses Tehran of providing military support on the ground to Assad's army. Iran denies this and says its aid to Damascus is only in the form of economic assistance while admitting to the presence of "advisers" inside Syria. The Obama administration is offering to destroy some of Syria's deadliest chemical weapons in international waters aboard a US government-owned ship, U.S. officials told The Associated Press on Wednesday. The plan, still subject to final approval, would involve destroying the weapons, likely aboard the MV Cape Ray in the Mediterranean Sea, with US Navy warships patrolling nearby. This approach would avoid the vexing diplomatic, environmental and security problems posed by disposing of the materials on any nation's soil. Officials said they expect a final decision soon and the operation would begin by the end of the year. Syria's biggest oil field is now being run by fighters linked to al-Qaeda. 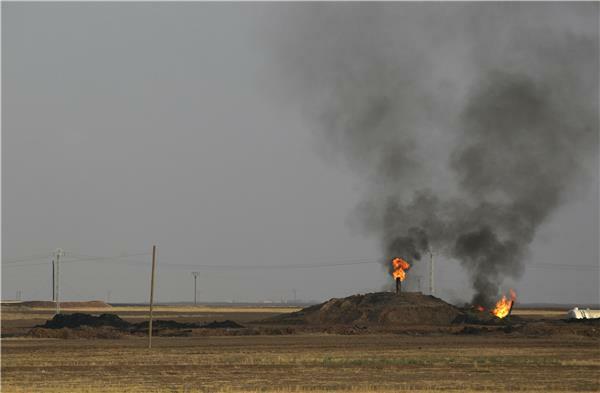 They seized the al-Omar field after heavy fighting last week. Al Jazeera has visited the facility and talked to the rebels who say they have started operating parts of the installation. Syrian troops have recaptured the strategic town of Deir Attiyeh, less than a week after losing it, taking the advantage in their bid to crush rebels just north of Damascus. The seizure of Deir Attiyeh, on the Damascus-Homs highway, comes two weeks into an army offensive in the Qalamoun region, important to the regime for its proximity to the capital and to the rebels for the supply lines it offers to neighbouring Lebanon. Roberta Russo, a UN refugee agency (UNHCR) spokesperson, told Al Jazeera that over 200,000 Syrian refugee children don't attend school in Lebanon. Some children are forced to work to support their families, while others don't attend classes because of a lack of school capacity and funding, Russo said. "For a child to be in school it means being a child and having the chance of forgetting what their day look likes as a refugee in this country and having a chance of being with their peers, learning, using their time constructively and eventually to use what they learn at school to rebuild their country in the future," Russo said. Roberta Russo, UNHCR spokesperson: Over 200,000 Syrian refugee children currently don't attend school in Lebanon. Approximately 1,500 Syrian refugee children arrive to Lebanon daily with severe psychological trauma, according to UN refugee agency spokesperson Roberta Russo. "Some of them are literally speechless because they have seen horrors that affected them so much... they can't get it out of their mind, and they are highly traumatized." More than two dozen companies have expressed interest in destroying Syria's chemical weapons stockpile, sources at the Organisation for the Prohibition of Chemical Weapons (OPCW) told Reuters news agency. The global chemical weapons watchdog is seeking commercial firms to destroy toxins from Syria's poison gas arsenal, and is trying to find a Mediterranean port where the deadliest can be processed offshore after Albania abruptly backed out of its offer to have it done on its territory. Last week the OPCW asked companies to indicate whether they could destroy nearly 800 tonnes of chemicals and 7.7 million litres of effluent, or liquid waste, and set a deadline of November 29 for expressions of interest. 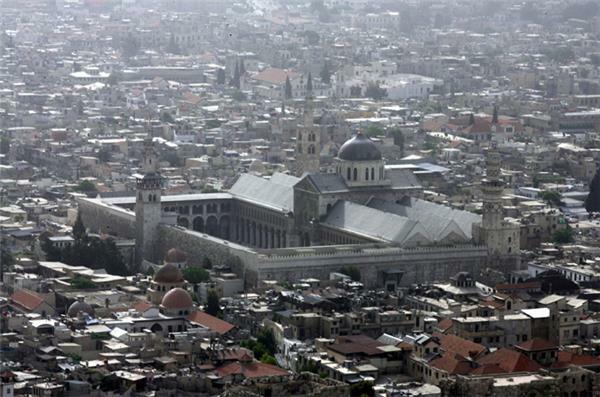 Mortar fire in front of the Umayyad Mosque in Damascus, one of the oldest mosques in the world, has left four people dead and 26 wounded, Syrian state media has reported. The shells fell on Friday, the Muslim day of prayer when people traditionally go to mosque at noon for the weekly sermon. "Mortars fired by terrorists in front of the Umayyad mosque have killed four people and injured 26," state television said in a breaking news alert. The shelling near the mosque in the old quarter of the capital came 10 days after a mortar shell hit its wall, causing casualties. Syrian opposition fighters have re-entered the historic Christian town of Maalula north of Damascus, as they battle regime troops in the surrounding Qalamoun region, a monitoring group said on Saturday. "Fierce clashes are under way between rebel fighters, including the Al-Nusra Front, and regime troops in Maalula, which the rebels have entered and are trying to gain control of," said Rami Abdel Rahman, director of the Syrian Observatory for Human Rights. Government forces repelled a rebel advance into Maalula in September, after heavy fighting that prompted most of the town's residents to leave. The renewed clashes in the town come as the regime battles to gain control of a string of strategic towns and villages along the Damascus-Homs highway, north of the capital. On Saturday, the Observatory said fighting was continuing in Nabak, and that regime forces had launched several air strikes on the town, as well as on nearby Yabroud and its environs. Ten people, including a woman and an off-duty soldier, have been killed in two days of sectarian clashes in northern Lebanon linked to the war in neighbouring Syria, a security source said on Sunday. The fighting in the northern port city of Tripoli also wounded 49 people, including 11 soldiers, the source told AFP. On Sunday four people were killed, two of whom were in a truck when they were shot dead by a sniper, while the third was the off-duty soldier and the last victim a woman who died of injuries sustained the previous day. Also on Sunday, an explosion caused a three-storey building in the Alawite area of Jabal Mohsen to collapse, said the security source and an official from the area. According to Abdel Latif Saleh, spokesman for the Arab Democratic Party, which supports Syria's President Bashar al-Assad, "the blast came after militiamen from (the Sunni, anti-Assad) Bab el-Tebbaneh neighbourhood planted explosives in the building." No one was injured, as the building was uninhabited. The developments come after a day of fierce clashes that lasted into Saturday night, leaving six dead. The fighting pits residents of the city's Alawite Jabal Mohsen district against Sunni residents of the neighbouring Bab el-Tebbaneh. The security source said fires had broken out in buildings along the dividing line between the neighbourhoods as a result of the fierce clashes, during which rocket-propelled grenades were also used. Police say they have arrested the alleged Australian ringleader of a criminal network that has been sending Australians to fight in Syria, the Associated Press has reported. Police estimate that approximately 100 Australian residents and citizens have gone to Syria to fight with armed groups. Australian Federal Police Deputy Commissioner Peter Drennan said Tuesday that two Sydney men were the first arrests in an investigation into Australians attempting to travel to Syrian to fight in the civil war. The 39-year-old suspected ringleader and a 23-year-old suspected recruit are to appear in Sydney courts Tuesday charged under the Crimes (Foreign Incursions and Recruitment) Act. The sentence carries a maximum 10-year prison sentence. The United Nations has said it had delivered food to 3.4 million people in Syria in November, falling short again of its monthly target of four million as heavy fighting kept it from reaching hungry people in contested areas. As winter bites, the number of children in Syria deemed vulnerable and in need of assistance has nearly quadrupled from a year ago to 4.3 million, the UN Children's Fund (UNICEF) said on Tuesday. Polio has also broken out, Syria's first polio outbreak since 1999, and people in besieged areas may face malnutrition, but violence and red tape have obstructed aid efforts. "The scale of the humanitarian response needed for the looming winter is unprecedented," UNICEF said in a written statement. Four people have been killed on Tuesday in a suicide bombing in central Damascus, hours after rebels seized a historic Christian town north of the capital. An AFP photographer at the scene said the bomber had blown himself up at the entrance of an administrative building belonging to the army, which was used to facilitate aid to the families of soldiers killed in combat. North of the capital, rebels exchanged fire with government troops outside Maalula, a day after opposition forces captured the Christian hamlet in the strategic Qalamoun region. famous for the fact that many residents still speak the ancient language Aramaic, which Jesus Christ is believed to have spoken. Syria's Bashar al-Assad will remain president and lead any transition agreed upon in Geneva peace talks planned for next month, a government minister has insisted. "If anyone thinks we are going to Geneva II to hand the keys to Damascus over [to the opposition], then he might as well not go," Omran al-Zohbi, the information minister said on Wednesday, in remarks carried by the official SANA news agency. "The decision rests with President Assad. He will lead the period of transition, if there is one. 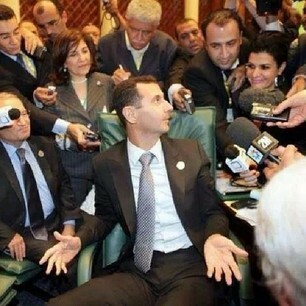 He is the leader of Syria... And he will remain the president of Syria," he added. Iraqi cameraman Yasser Faisal al-Joumaili was executed in Syria's north reportedly by an al-Qaeda-affiliated group. The freelance journalist worked with Al Jazeera English for several years in Iraq and Syria. Three of his colleagues wrote blog posts recalling their time with Yasser. protection of medical facilities and personnel there. A joint statement by UNICEF, the World Health Organisation and the UN's humanitarian operations "strongly condemned" attacks on health facilities. They said they were "deeply concerned by the serious implications for patients, health personnel and provision of critical medical supplies". The statement was made by UNICEF Director Anthony Lake, WHO chief Margaret Chan and UN humanitarian operations chief Valerie Amos. Attacks against health facilities, they warned, can be considered war crimes under international law. "Over 60 percent of public hospitals have been damaged or are out of service, while a similar proportion of ambulances have been stolen or badly damaged," the three said. "At a time when hospitals are overwhelmed with patients, it is vital that these facilities be protected and medical staff be allowed to provide urgent medical, surgical and obstetric care." 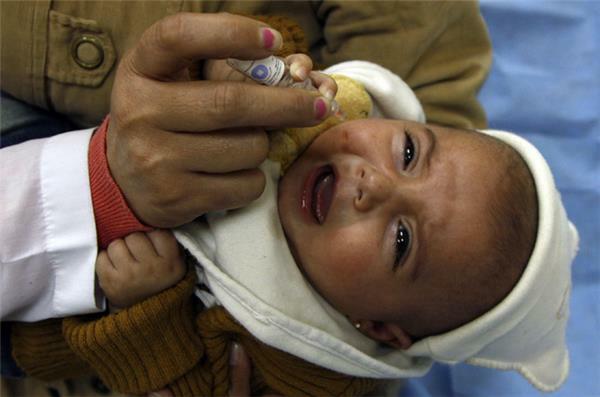 Despite difficulties, the UN and partners have helped vaccinate more than 3.3 million children against measles and polio in recent weeks and have provided reproductive and maternal health services to more than 8,000 women, according to the statement. 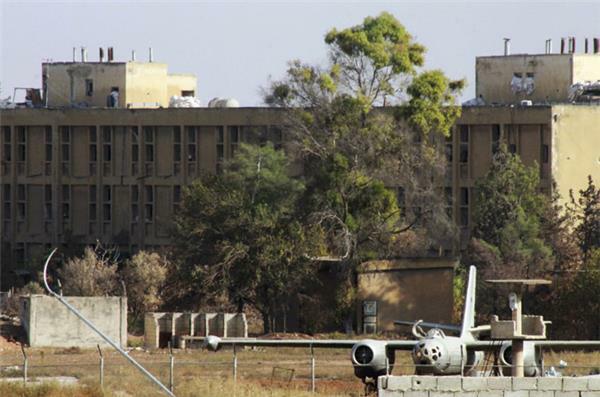 The activists said on Sunday that 13 people were killed and others injured in the eastern district of Al Myassar, near Aleppo International Airport, which is controlled by government forces. Meanwhile, Syrian regime forces made gains in the key town of Nabuk, one of the last rebel held areas in the Qalamoun region bordering Lebanon, the Syrian Observatory for Human Rights said in a written statement. 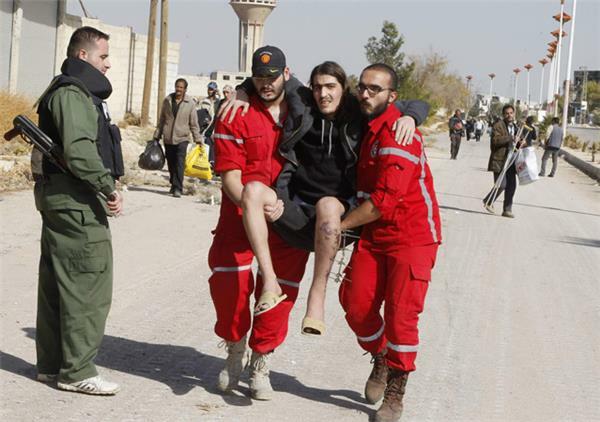 "There is fierce fighting in Nabuk between government forces, backed by Lebanese Hezbollah fighters, and Al-Nusra Front and the Islamic State of Iraq and the Levant," said the monitor, which relies on activists and medics on the ground for its information. 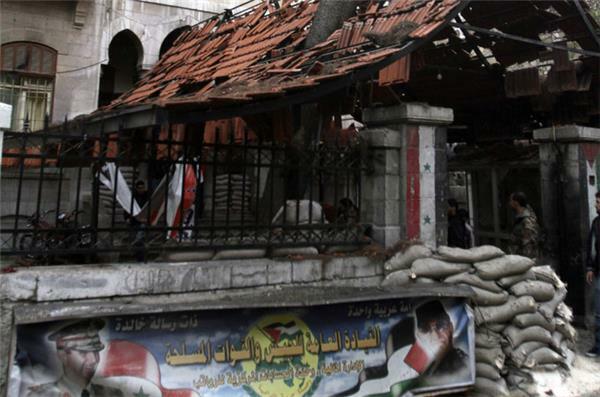 It said President Bashar al-Assad's troops had taken new sectors of the town. Lebanon's state-run news agency has said Lebanese troops have captured three Syrian gunmen as they tried to cross the border towards a contested region in Syria. The National News Agency said on Sunday the Syrians were detained near the Lebanese border town of Arsal while on their way to the Qalamoun hills, which have been witnessing intense clashes between government and opposition forces over the past month. It said the three were detained after midnight Sunday and had light weapons and telecommunications equipment with them. 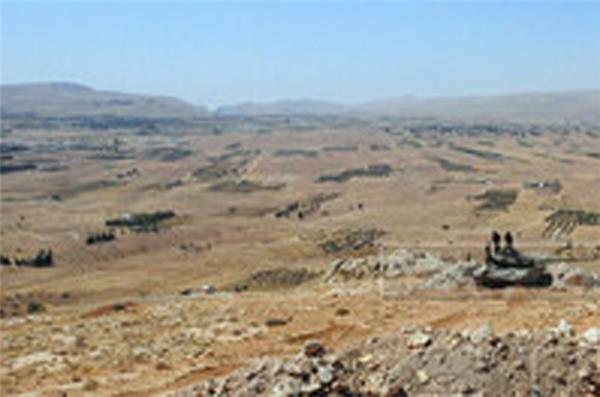 Since the battles of Qalamoun began last month, the Lebanese army reinforced its positions on the border to prevent infiltrations that are widespread between the two neighboring countries. 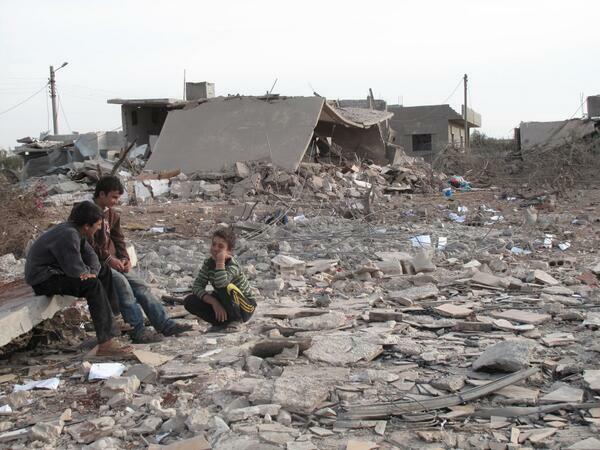 The Qalamoun battles forced thousands of Syrians to flee for safety in Lebanon over the past weeks. The Syrian dance troupe Sima is celebrating after winning the popular televised contest Arabs Got Talent. Sima's performanced an interpretative dance that incorporated themes of power and conflict. The number opened with dancers dressed in black and white fighting over a throne, an image that could be seen as symbolic of Syria's conflict, which has killed more than 100,000 people. "We wanted to do something related to the reality we're living, to present it as it is, how brutal it is and how violent," Sima dancer Lana Fehmi said. "I think it reflects reality but, at the same time, I think sometimes it can give hope." Muslims and Christians have attended a mass at al-Mariamiyah Cathedral in the Syrian capital of Damascus to call for the release of a group of nuns. 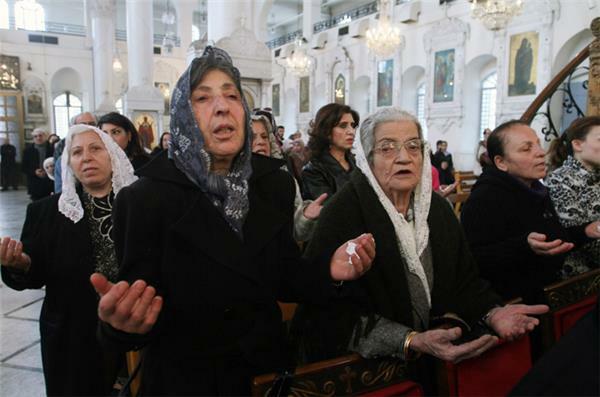 The mass, held by John X al-Yazigi, the Patriarch of Antioch and All the East, on Sunday, was held for the 12 Syrian Greek Orthodox nuns who were reportedly kidnapped from their convent in the rebel-held Maaloula town near Damascus on December 2 . The nuns, along with three other young women, were reportedly taken by rebels to a nearby town. The reports said that the rebels demanded the release of some 1000 detainees in exchange for the nuns. 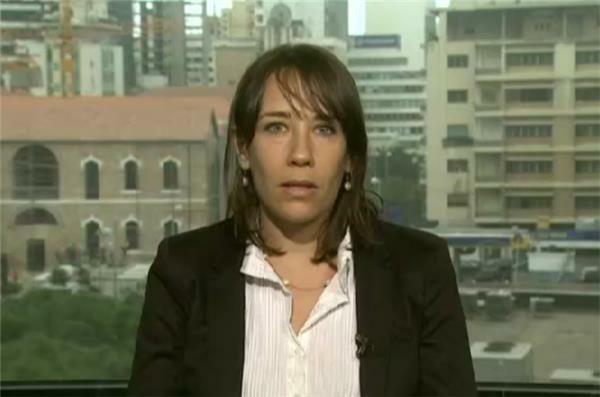 An Al-Qaeda-linked group has kidnapped two Spanish journalists in Syria. Major international news organisations sent a letter to the leadership of the armed opposition in Syria on Wednesday, calling for urgent action against rebel groups increasingly targeting journalists for kidnappings. The letter was in response to a sharp rise in the kidnapping of journalists while on assignment in opposition-held areas in northern Syria. Most kidnappings since the summer have taken place in rebel-held territories, particularly in chaotic northern and eastern Syria, where al-Qaeda-linked groups hold influence. Syria's borders," the letter said. Signatories to the letter were the Associated Press, Agence France Presse, Reuters, BBC, The New York Times, The Washington Post, The Wall Street Journal, Atlantic Media, The Economist, Getty Images, The Guardian, the Los Angeles Times, The Telegraph and El Mundo. The open letter was being sent to the leadership of the Western-backed Free Syrian Army and to individual armed groups including the Islamic Front, an umbrella organisation of six of the most powerful brigades in Syria. The head of the UNHRC delivers a sobering perspective of the tragedy that has become a reality for Syria's children. 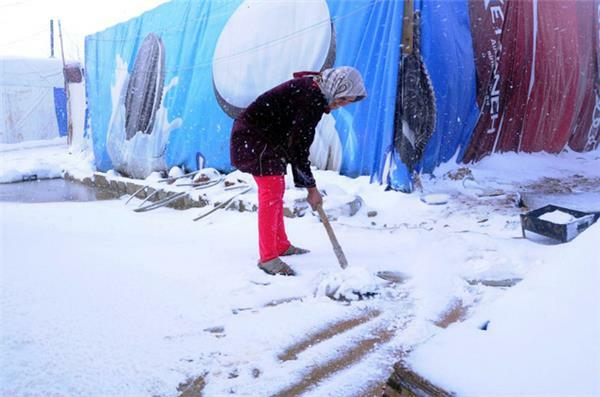 A blustery storm has dropped torrential rain and snow on Lebanon, as aid agencies scramble to distribute vital winter supplies to Syrian refugees. Roberta Russo, spokeswoman for the UN refugee agency UNHCR, said the Syrian refugee population in Lebanon had now grown from less than 200,000 last December to almost 830,000. "The funding has not increased proportionally," she said. Lebanon's borders have remained open, but the government has refused to allow the establishment of formal refugee camps, so the refugees have set up makeshift, unofficial camps, many dotted across the eastern Bekaa Valley . Fatima Hanhoun, from Syria's western Idlib province, who lives on a piece of land in the Bekaa, said winter in the area was terrible. "Last year the ground was completely water laden, we couldn't step outside the tents without sinking up to our knees in water and dirt," she said. Sweden can handle the upturn, the European country's migration minister has said, as he cited human rights accords to rule out curbing refugees' freedom of movement. Sweden is the only country to give Syrian refugees automatic residence, but has struggled to house them and faces warnings of a coming surge in arrivals. Tobias Billstroem, the migration minister, acknowledged that accommodation was a problem and noted that Sweden had a housing shortage regardless of its refugee intake. "All municipalities have to show solidarity," said Billstroem, adding that the same applied to Europe. "We see problems with the fact that two countries - Sweden and Germany, which are not European Union border states - are accepting a disproportionate number of Syrians arriving in Europe. "You only need to turn on your TV or open a newspaper to see pictures of the bloody conflict in Syria and be reminded why everyone has to take their share of the responsibility." Billstroem has promised extra funding to Soedertaelje and other councils, but Boel Godner, a Social Democratic mayor said it would not be enough. 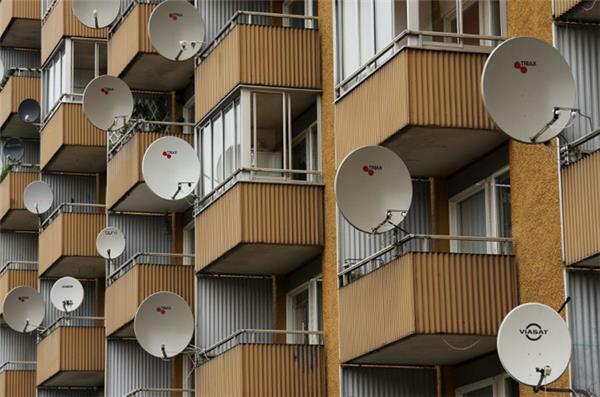 Some analysts say the rise of the anti-immigration Sweden Democrats Party (SD), which has about 10 percent in the polls, is to blame and that Sweden is in denial about the potential impact of its generous migration policy. Adam Cwejman, from the centre-right think tank Timbro, said there had been high public support for a generous and liberal migration policy,but at the same time the SD had polarised the debate.